Colleague consulting can help your franchisees meet critical business challenges through sharing best practices, whether you're a new franchisor or you've been around for a while. And with franchises accounting for 4 percent of small businesses, colleague consulting could be a critical success factor. Often, franchisees organize into regional or national groups to support one another in discussions with the company, or to offer economies of scale for cost controls, marketing, advertising, and financial support. That's what makes a franchise truly successful: colleagues working together to learn from one another. You can't do everything. In colleague consulting programs, also known as peer coaching or best practice sharing, your franchisees can approach one another to discuss scaling and managing costs such as labor, waste, and inventory, and overcoming financial challenges that can determine profitability. Colleague consulting can help develop useful franchisee cooperation that enables more efficient ways for franchisees to increase their share of voice in advertising, marketing, or public relations initiatives. If you want to learn how to best leverage colleague consulting for your franchisee community, you might find these best practices useful. These might include benchmark examples of successful franchise models including labor costs, employee benefits, and healthcare consultations. Clearly, new franchisees will need additional support, but many new franchisors don't develop the infrastructure to deliver it. These resources can help your entire organization manage the business growth you want and need. It's equally important that the broader franchisee community can easily access both external and internal benchmarks. This transparency will enable more idea sharing and will help build the belief and confidence that the answers to most of the difficult questions are actually "in the system." Making networking opportunities easily available is vital for your franchisees -- and ultimately for the growth of the overall enterprise. So consider providing opportunities for networking that will connect franchisees with relevant experience and expertise. 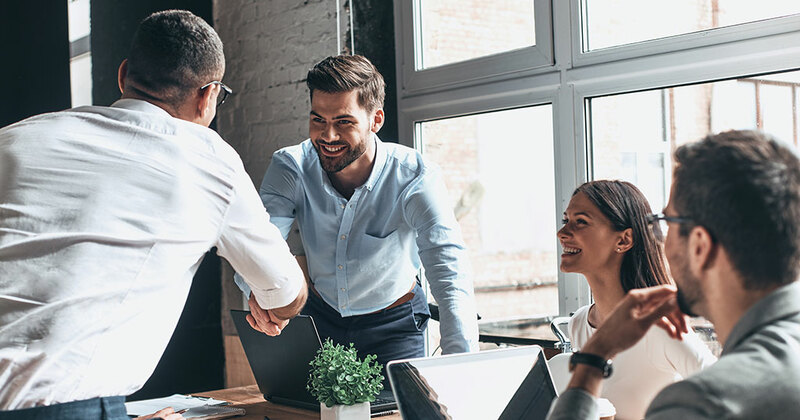 It might be useful to bring new franchisees together to discuss the challenges they've identified, or to set up meetings that connect franchisees by geographies or comparable customer populations. If your organization is small, you might consider creating more intimate social gatherings to build relationships and identify potential sources of expertise and support. As the organization grows, you can build on this foundation to develop larger events such as conferences or retreats. People are your most valuable asset, so it makes sense to develop a positive employee value proposition designed to attract, prepare, and keep the best people. Staffing and benefits are core concerns for franchisees, and your support in this area is critical. Supporting your franchisee community with a solid "people plan" will free up your colleague consulting program to concentrate on areas you can't control. Building on the people plan, lead the way with a range of incentive solutions. Creating system-wide recognition and reward programs will enhance local performance, build franchisee business results, and strengthen attachment and commitment to your brand. If possible, leverage your position to encourage community involvement. This offers valuable support to your customers and significantly enhances community perception where you do business. McDonald's offers just one example among many of how franchisees can contribute to their communities in a meaningful way under an organizational umbrella. Franchisees are encouraged to partner with local chapters of Ronald McDonald House Charities to create promotions and fundraising events. You can develop a similar program in your brand - and many have - by encouraging franchisees to work with local charities they're passionate about. Your franchisees will have something to look forward to, and the colleague consulting will provide them with another place to turn for advice on activities such as sponsorships and how to best work with nonprofits. Colleague consulting is a credible way to build connections inside your organization. It enables the creation of a trusted learning community with a shared mission and an enhanced commitment to your brand. The strategies listed above will help encourage peer communication and, in turn, help grow both individual franchises and your entire organization. Jeff Berkson is a senior communication strategist at Kindle Communications. Kindle creates strategic and innovative events, communications campaigns, digital solutions, and development programs.